I wouldn't call myself a gamer, but I've been known to crush it during a Simpsons: Hit and Run sesh on occasion. The problem is having open drink cans near a gaming console is simply asking for an accident to happen if things were to get heated, and now that an entire industry has been built from professional gaming, it makes sense that there should be more beverages not only help you focus on your objective, but also keep you from ruining your carpet. Mountain Dew just announced the launch of their newest beverage: MTN DEW AMP Game Fuel, the first-ever drink created specifically for gamers. It includes a combination of caffeine and theanine to improve alertness and accuracy, which are essential for gaming, as well as Vitamin A and a combination of B vitamins. The newly designed cans also feature a no-slip grip and resealable lid to ensure no accidents happen in the heat of the moment. 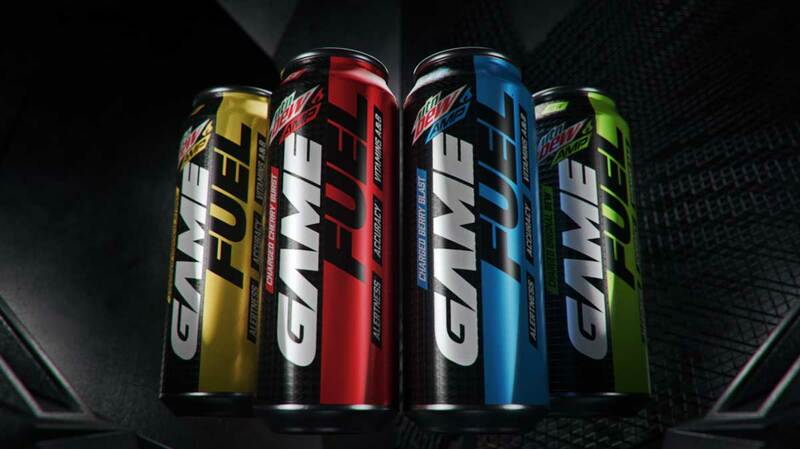 MTN DEW AMP Game Fuel is set to launch in 2019, with pro gamers getting a sneak peak of the beverage during the Call of Duty World League competition in Las Vegas this December. We spoke to professional gamer and fried chicken enthusiast FaZe Cheo of the FaZe Clan to hear his thoughts on such a drink. "The idea of Mountain Dew coming out with a gaming drink is awesome!" Cheo shares. "To have a resealable lid to keep the carbonation fresh, to have a no slip grip on the can during high pressure situations is key." Cheo, also the in-house chef of FaZe clan, also adds that having vitamins to boost alertness and accuracy is crucial to make sure you're always bringing your A game. Super Smash Bros: Ultimate does come out in a few days. This sure would come in handy once it debuts nationally. Those interested in trying Mountain Dew's new gamer drink as soon as it launches can pre-order it through Amazon or Walmart.com.